That was more of a blowout than even I was expecting. For such a hugely significant decade like the 19-zeros to lose so embarrassingly to the 1950s, was enough to make me want to cry. But I totally didn’t. No, really, I’m tough. Really. I kicked a bear yesterday. See? And I would gladly kick any of the other stuffed animals, too. Even that pompous lion who’s always eyeballing me. But now is not the time to fight because we have a battle to start. Well, I founded Microsoft, which yes, I am proud of, and I created the first test-tube baby while watching M*A*S*H (which I also started). Then I constructed The Sears Tower—the tallest building in the world at the time—and of course, gave birth to Reputation@Stake. Alright, fine, I hurt the music world a bit. I broke up The Beatles and I killed Elvis, but who even remembers those guys now? And sure, I did give the U.S. it’s first big military loss by calling it quits in Vietnam, but at least I got President Nixon to resign. Dude, I gave women the right to vote in America! I then invented the Lie Detector—which was purely a coincidence, I swear. Moving on, I discovered both King Tut and Penicillin, invented Bubble Gum, and then, what many consider my finest achievement, I invented Sliced Bread. I kinda sorta helped Hitler publish his book Mein Kampf. And, uh, then, uh, man I hate to mention this, I accidentally crashed the Stock Market. Sorry. And I haven’t decided if starting Prohibition in the U.S. was a good thing or a bad thing, but still, I don’t like to talk about it. So which of these two is the greater decade? You tell us by casting your vote, for one or the other, in the comments section. On Saturday we’ll announce the winner (so vote before then), and then we’ll pit two previously winning decades against each other, on the road to deciding the greatest decade of all. 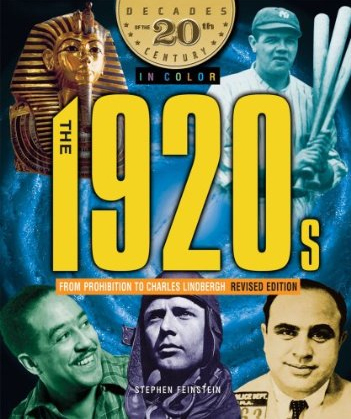 The 1920s pretty much began the movie industry. On the other hand, the 1970s changed the movie industry with the appearance of Star Wars. 1970s just because of the afros and tight gold lamé pants with enormous bell bottoms! As I am a product of the 70's, I will have to vote that way. I can't believe that my birth didn't make it on the accomplishment list. As a child of the 70's, that is what I am voting for. *My best two years of High School were in the 70's. *I got married in the 70's. *I had my first baby in the 70's. *Three Dog Night came out with Jeremiah Was a Bullfrog in the 70's. *I was YOUNG in the 70's. Yep - - - definitely the 70's for me. I gotta go with the 70's. Sure it did some damage to the music world, but it's also responsible for a lot of great music. Beside, without the 70's, these posts wouldn't even exist. 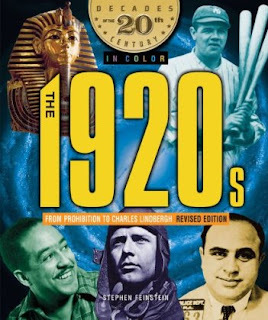 The 20's led to the depression and the 70's produced disco. Crap, that's tough. Going with 1920's. Gotta go with the 70's here! Despite the disco era, there was still some pretty good music in the 70's! Even though I like Alex's comment, and I always go for the underdog, I just can't - being a Jewish disco dancer and all. 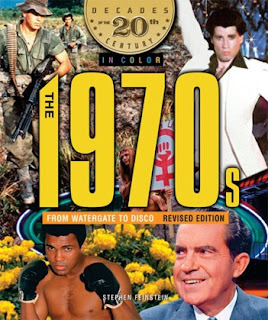 70s! It ends and begins with Star Wars! 70's, 70,s the stork brought....yep the great barrier reef - ME! !